The King of Titans. Kronus is the range for any batsmen looking to dominate the opposition. Deceptive, beautiful and crafted to make you the best, the range holds a hidden destructive power which makes it an all-devouring force at the crease. Seven 30mm, round, pre-moulded Light HD Foam bolsters with reinforced cane rods. The vertical bolster incorporates a tri-system of Vapour Foam, strips of EVA and Poly-armour. The pre-shaped knee optimises Poly-armour and Gel-Zone technology offers a comfortaqble 3D fit. 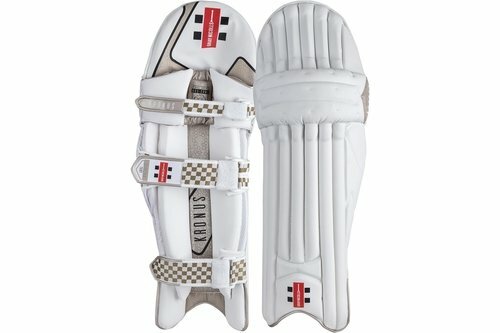 A premium quality legguard made from the highest quality materials and lightweight high density impact foam. 30mm HDF thick wings with full length HDF internals.